Dubai can be an awesome place to be when you are travelling with kids. While your kids might not be interested in its rich history or the varied shopping experiences, Dubai tour can be an adventure for your kids if you know the right places to take them. Here are three top cheap excursions in Dubai to take your kids. Located at the base of the world’s tallest tower, the Burj Khalifa, The Dubai Fountains is the world’s largest dancing fountain! 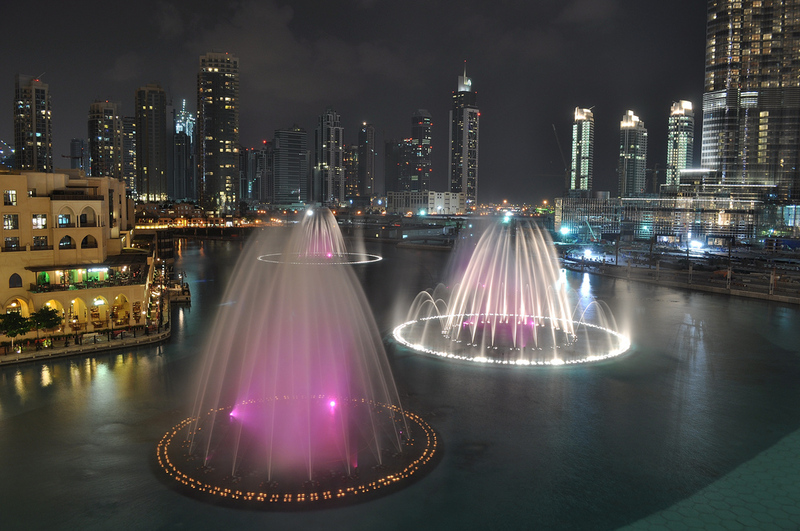 It is located on the vast Burj Khalifa Lake and can shoot water upwards as high as a 50-storey building. The tower performs everyday on a variety of music. The dancing fountain is accompanied by 6600 Super lights and 25 colours projectors and creates a visual spectrum that will astound your child. How can you and your child miss the first indoor ski resort in the Middle East? Ski Dubai enjoys an awesome indoor snow setting where you can enjoy skiing, snowboarding, tobogganing or simply frolic in the snow. With Ski Dubai, you can enjoy real snow in Dubai all year round. 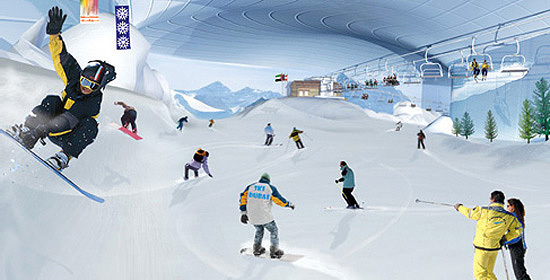 For your convenience, Ski Dubai offers the use of winter clothes and other equipment to its guests. 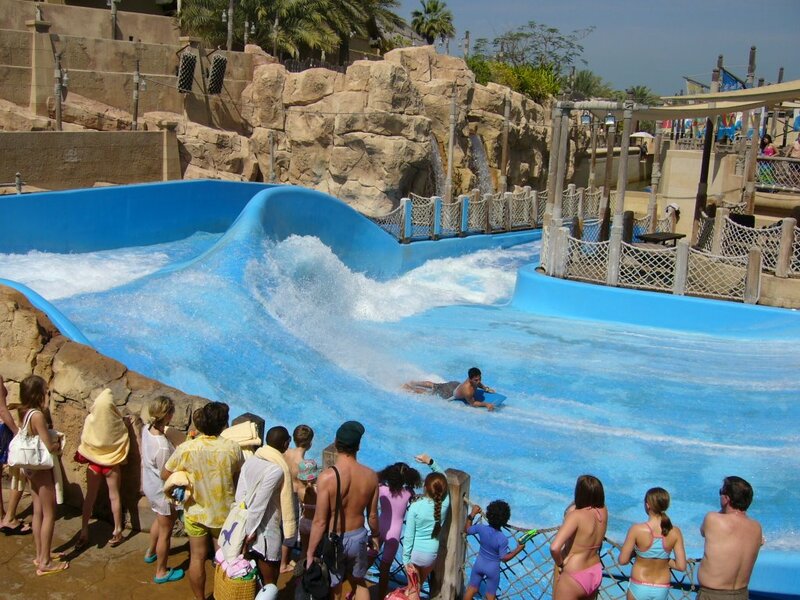 Wild Wad is an outdoor water park in Jumeirah. It has a wave pool, water slides and surfing machines. As a unique attraction, an 18 feet waterfall goes off every ten minutes. The water park is themes around the tale of Jula who is a well known Arabian folklore character. ← 7 Reasons the Gold Souk in Dubai is Awesome!